Pharrell William’s first attempt at a solo record was too “self-centered”. The 42-year-old spent many years producing records for big names including Britney Spears, Gwen Stefani and Justin Timberlake. He found success on his own in 2013 with Happy as well as featuring on Blurred Lines with Robin Thicke and Get Lucky with Daft Punk. But the music maestro has admitted the songs were his second attempt at being a solo artist. 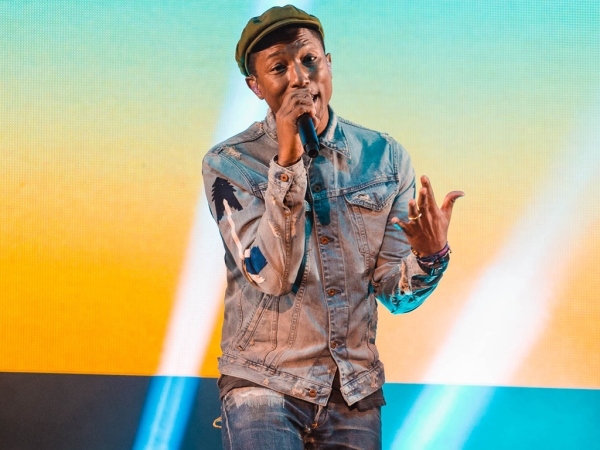 Pharrell learnt his lesson from his previous attempt and put his heart and soul into his debut album, G I R L. His efforts paid off and lead single Happy went on to be one of the biggest selling singles in recent times. But the star admits it would have been a lot different if it hadn’t featured on the Despicable Me 2 soundtrack. Happy took on a life of its own after its release, with people all over the world filming their own version of it. But Pharrell was thrilled with the response, and couldn’t have asked for more.